The video went viral, racking up more than 1.2 million views by Wednesday morning, and then the internet came for Pepsi. Moreover, there seemed to be general outrage that the message seemed is that our societal ills can be solved by a rich TV star handing out sugary drinks to law enforcement. “Next time @pepsi do one where Kendall Jenner marches to Montgomery but the cops don’t bludgeon her bc she’s white & has a refreshing @pepsi,” tweeted New Yorker contributing writer Jia Tolentino. Comedian Jim Gaffigan tweeted a scenario many feel might actually take place somewhere in a Pepsi boardroom Wednesday. “But you said you wanted social media to talk about Pepsi.” — Advertising guy to Pepsi executive before agency is fired. It wasn’t just those who might be considered on the political left who found fault. Some on other parts of the political spectrum did as well. 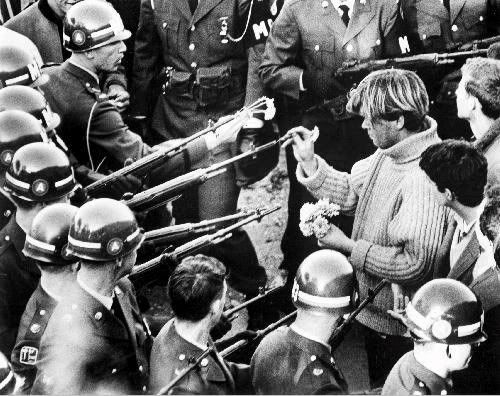 The ad is part of Pepsi’s “Live for the Moment” campaign and is an obvious shout-out to Coca-Cola’s “Kumbaya”-like “I’d Like to Teach the World to Sing” campaign from 1971, which was also released at a time of protest and upheaval. But that ad was generally acclaimed.